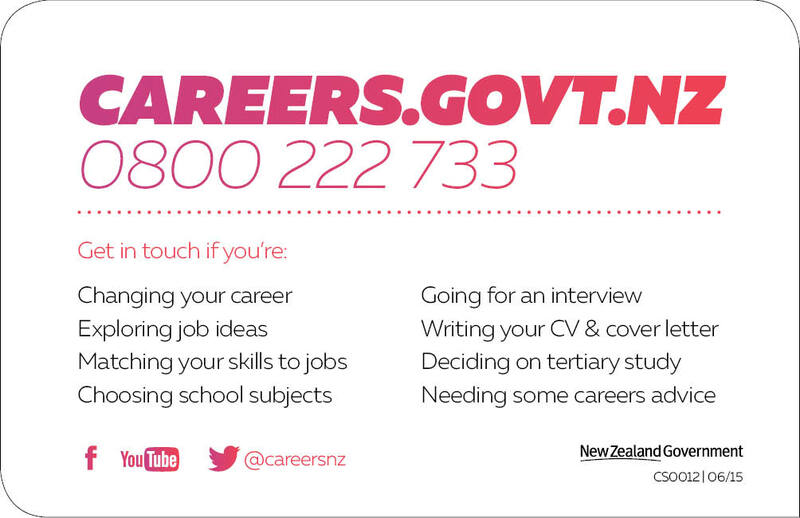 Careers New Zealand brochures and flyers that are free to order. 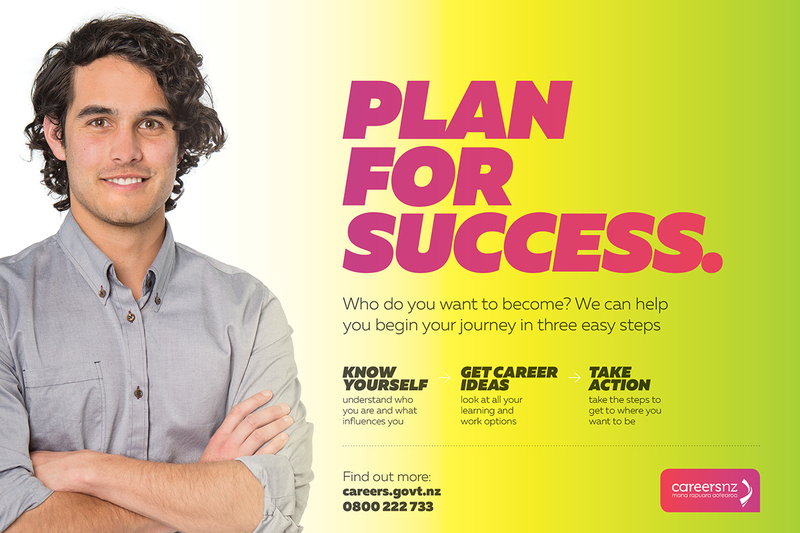 This brochure outlines the three steps in the career planning process and how Careers New Zealand can provide assistance to people who are making decisions about jobs, training or careers in New Zealand. 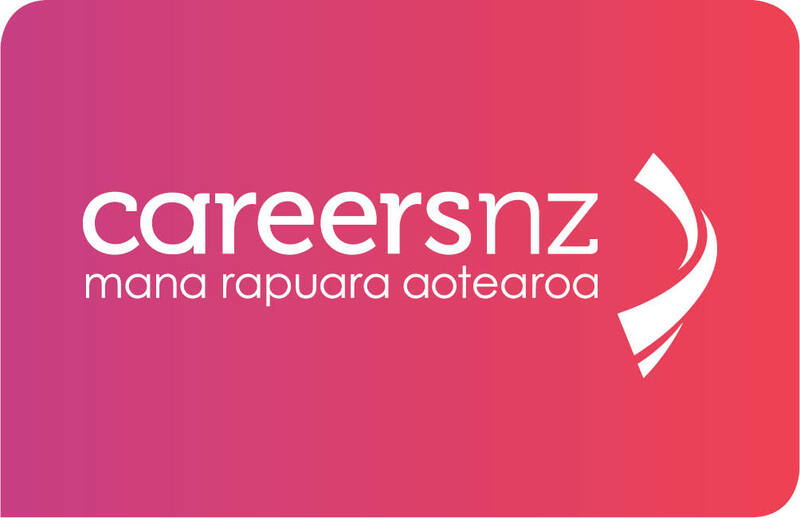 Careers New Zealand can help people at any age or stage of their life, by providing information and advice to help them consider their options, plan ahead and make the job, training and career choices that are right for them. This is a business card, listing Careers New Zealand's contact information and social media channels. 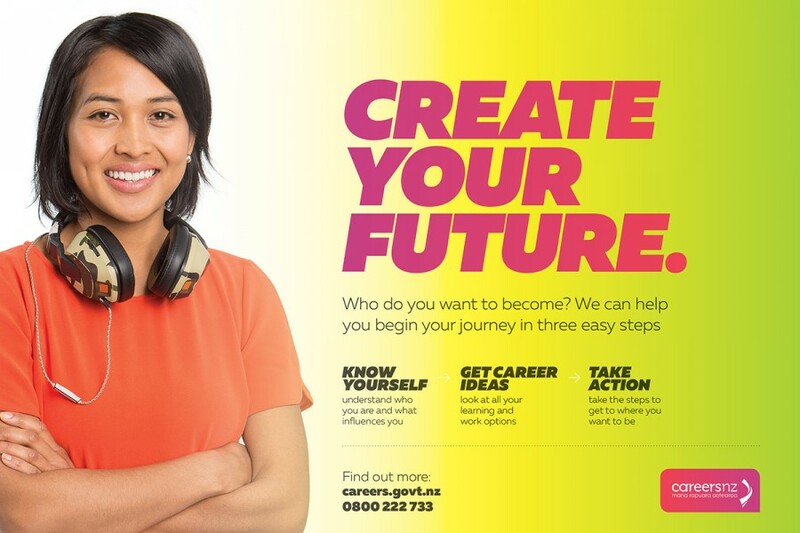 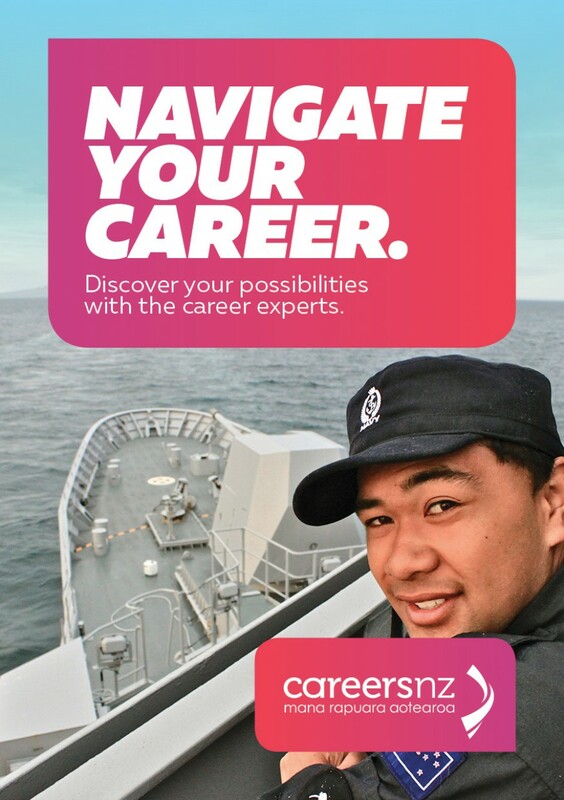 These posters are designed to encourage students to start thinking about their career options, and to investigate Careers New Zealand resources to help them make decisions.